I purchased this car seat for my son when he was 6 months old and it is still going strong 3 years later! The seat is well padded and the material is lovely and soft. The recline positions when forward facing mean that I don't have to worry about my son's head flopping forwards when he falls asleep in the car. It's so easy to adjust the head rest and sides as he grows. It is a bit bulky, however that just assures me that my son is well protected in there. 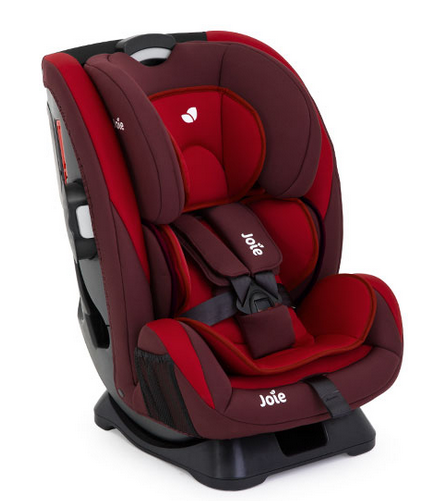 The joie everystage is an extended rearfacing combination car seat which can last your child from birth - 12 years, with removable cushions and supports. The sleek and colourful design makes the car seat stand out from the crowd and the easy installation is a bonus! The comfort of the seat made car journeys once again enjoyable for our baby who previously hated the car! It’s got 2 recline options in rear facing mode meaning you can lay baby back when they fall asleep! With side pockets on the seat for toys and dummies it helps keep track of everything in the car, and keep things in reach for long journeys. The only downside for us is it’s bulky-ness, which would only be a huge issue if you’ve got a small hatchback- which luckily we don’t! Looking forward to this seat growing with both my kids for the foreseeable! We bought this car seat when our daughter was outgrowing the one that came with her travel system and on recommendation from my sister who has it for my nephew. 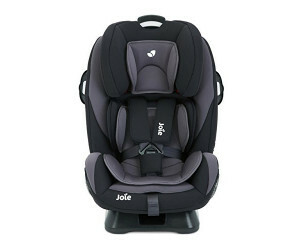 Great car seat, it’s comfotable, adjustable, long lasting (lasts until they are 12). 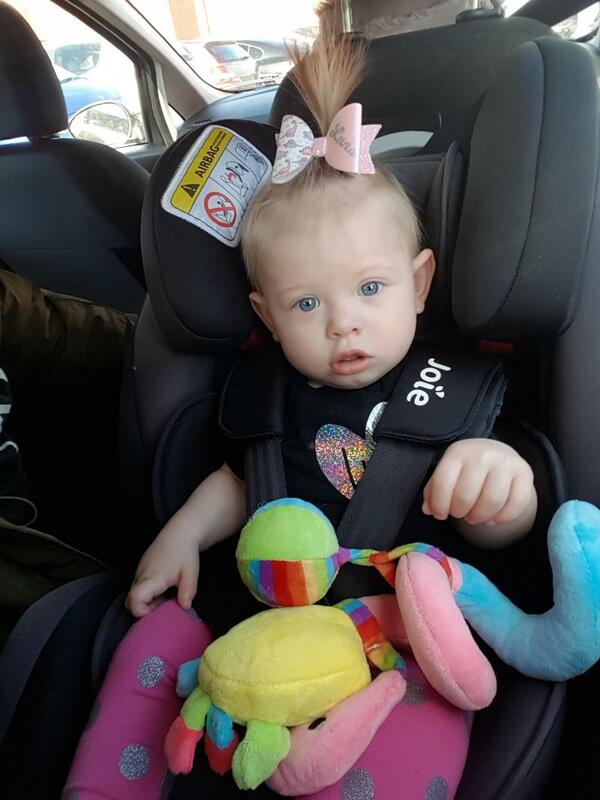 Sometimes the straps can turn the wrong way but it’s easy to fix - it usually happens if we put the car seat in another car ie grandparents cars. 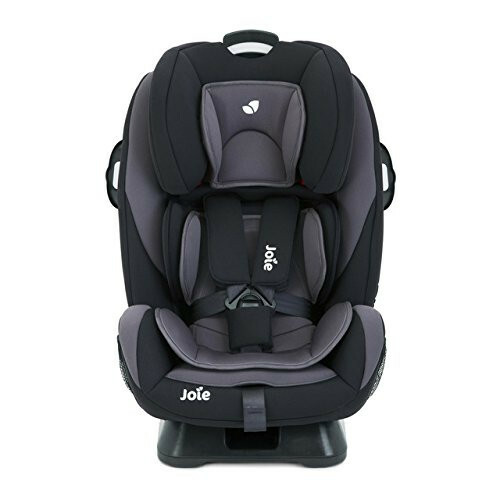 It’s a good price as a lot of these car seats are so expensive, I know it’s for your child’s safety which is definitely the most important thing, but you can still get a good car seat like this without spending £300-400. Heavy and hard to use in small cars. Safe, Sturdy, Nice design & long lasting! It was abit awkward to fit! 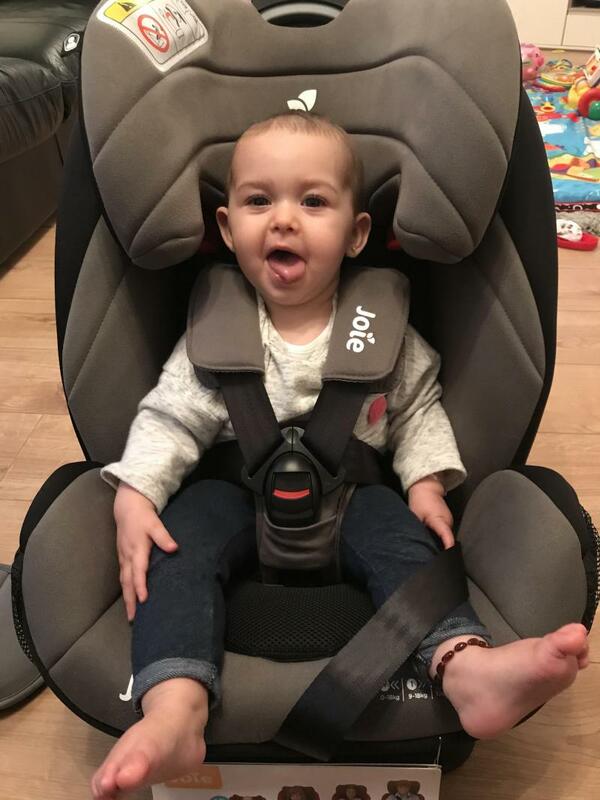 We purchased this car seat when my little girl was outgrowing the one that came with our travel system, it was a little tricky to fit but I think that was more down to the awkward seatbelt in the car! I love how padded and comfortable it is. The fact that it rear faces until age 4 was the biggest pleaser for us! Joie really take their safety seriously, as do we! 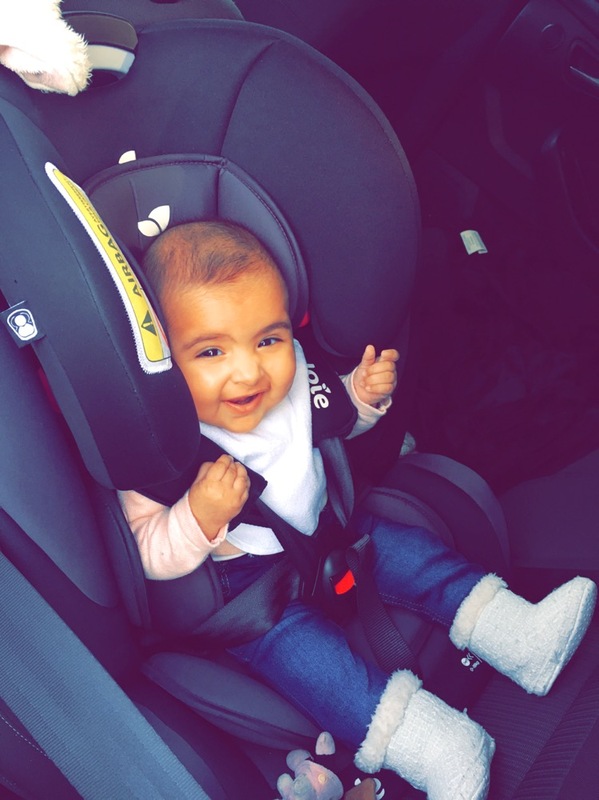 It may seem like alot of money to pay for a car seat, but it lasts till 12 so if bought from birth its only 10 pound a year to know you have a well tested, well made carseat! My 2 and a half year old has had this since birth. It’s amazing as it’s rear facing for a long time and it’s easy to convert to the different stages. It’s really padded and the fact that it lasts till the child is 12 it saves you buying so many different car seats. We got this car seat when our daughter outgrew her travel system seat at six months. We purchased it from Halfords on special offer for £75 and it was money well spent. She is now turning two and still fits very comfortably in it, plus if we are going a long journey in the car we can recline it for her to sleep soundly. It is so well padded she loves sitting or sleeping in it, and it's extremely well built - you know it's going to keep them safe. Would highly recommend for wee ones who like a doze in the car! It's still going strong and when she outgrows it I'll be passing it onto my sister for her baby as it's far too good a seat not to share and pass on. Reclines.comfortable. Easy to strap baby in. Love this car seat! Cleans up brilliant. Safe. We have had this product for a year and my son has been using it since he was 6 months old and grew out of his new born car seat. The design is good and I’m confident that there is enough padding etc to protect him if we were to get into an accident. This does mean that’s it’s harder for him to climb in and out. We have it in red and it looks good too! The only negative is that it can be very difficult to loosen and tighten the straps. They tend to get caught in the back of the car seat quite easily and it’s very hard to free them to loosen the straps to get baby out. We have also had difficulties with the tightening strap - it can be very hard to do which I imagine will only get harder as my son gets heavier. This won’t be a problem when he no longer needs to use the harness. Love this car seat so much we are going to buy one for the next baby. We love that it goes from Newborn to every stage and it's a comfy safe seat. It's pretty comfortable but it's a little tough to get your baby in the car seat because of the belt. Baby has only 9 months. We’ve had this for a year now for our toddler and it’s a really good seat. It lasts well, easy to strip off to clean and it’s easy to install. I only find that the straps are a bit awkward. They’re very tough to tighten which I’ve never come across before with any other car seats I’ve used. Would definitely recommend this though as you get your money’s worth! It grows with your child and is comfortable for them. 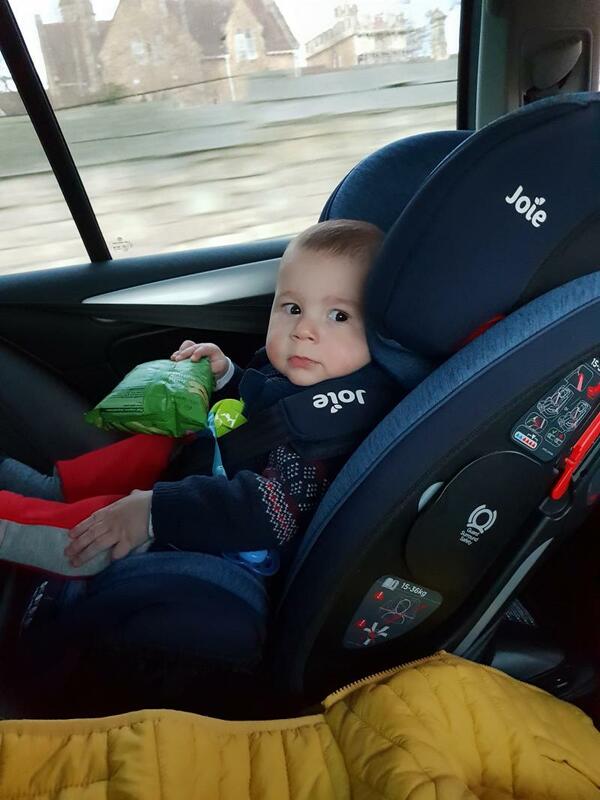 This car seat is good value for money and is fit for purpose we were presently surprised with how comfortable our son looked in it and look forward to using it for years to come as it grows with him. It’s colour is vibrant and appealing in red. Only down side is it is difficult to secure in rear facing mode as seatbelt clip is hard to secure. I feel this won’t be a problem in front facing mode. And doesn’t hold back on quality of seat and functionality. We have this carseat as a spare. It's quite bulky but light to move. My son finds it really hard to climb in himself as the sides are so bulky. I also have found the seat belt is continuously hard and stiff to pull and do up especially as he's rear facing. Compared to the permanent car seat in my car he doesn't look that comfortable, even though we've had it checked. I guess it depends on the angle of the seat of your car. Wouldn't particular buy it again knowing that there are now better things out on the market at the moment. I love this car seat and would highly recommend! We got this when my son was about a year old, he’s now 3 and a half and it’s still perfect! It is quite heavy but it’s so sturdy and solid, easy to adjust the harness seatbelt. The only negative I could give is that it’s slightly bulky, we are now due our third child and I’m worried I’m not going to fit 3 car seats in the back with it (we have a fairly large car) but overall fantastic seat! So this car seat has been troublesome for me. It only fits in my car so people that look after my child had to all club together to buy another car seat to share between them. Iv had 2 of these carseats now and both have had a struggle to tighten the straps to secure my little one in properly, sometimes they wouldnt tighten enough, sometimes it would get stuck and sometimes you cant pull them to loosen them because it gets stuck too. Also iv founf that the strap you pull to tighten the harness keeps fraying and im always told this is a safety concern but as i say iv had two seats now and its happened on both. Feels sturdy even to strap your newborn into, the fact it adapts up so size 3 is perfect cause it means value for money is 190% there. We didn't want multiple car seats what felt like every year so wanted a all stages one. This car seat is really comfy for the little ones and feels really sturdy and padded. It can be a little awkward when rear facing as the seat belt covers the entry to the seat so can be difficult to the get babies in so I wouldn't use in that position.